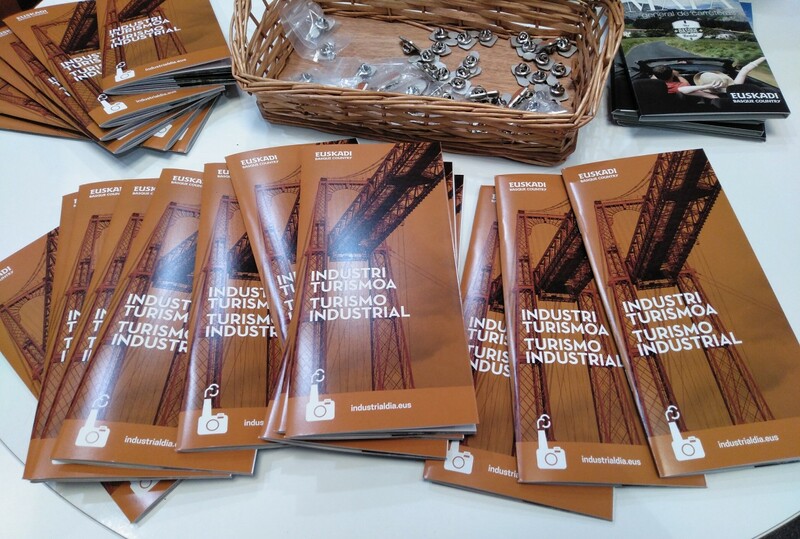 Industrial Tourism in the Basque Country leaflet, presented at the B-Travel Fair/B-Industrial. Barcelona, March 2019 / Photo by AVPIOP. The Ministry of Tourism, Trade & Consumer Affairs of the Basque Government has been present with its own stand throughout the Fair, from 27 to 29 March. 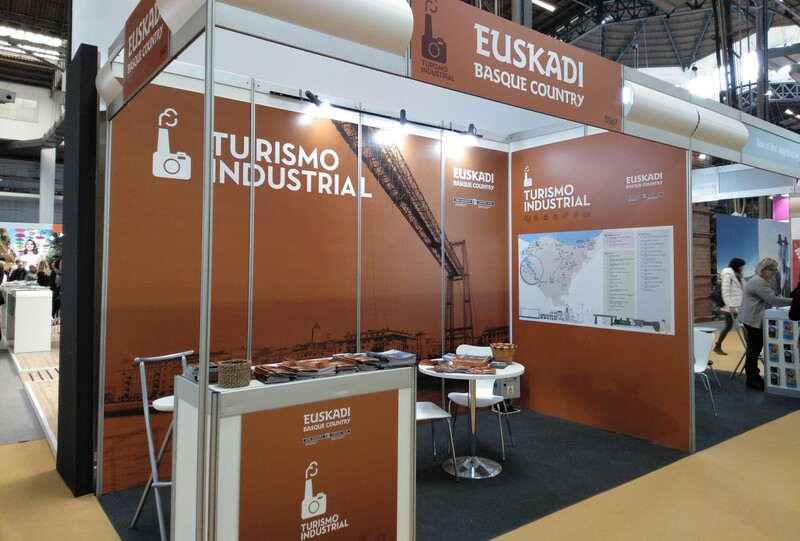 The attractions and the global offer of industrial tourism in the Basque Country have been on display for professionals and visitors, and the promotional guide “Industrial Tourism in the Basque Country” has been presented. The guide provides detailed information about the main resources that make up the industrial tourism offer in the Basque Country. It is available for downloading on the official website, www.industrialdia.eus. and issuu (in Spanish and Basque. Soon available also in English: https://industrialdia.eus/). The Fair also hosted sessions for professionals, as we reported on a previous post. The president of the Basque Association for Industrial Heritage and Public Works (AVPIOP), Javier Puertas Juez, attended the conference and delivered the presentation “Four decades of activism and dissemination of the Basque industrial heritage”, where he outlined AVPIOP’s vision of the role of voluntary associations in the research, inventory, cataloguing, dissemination, protection and management of industrial heritage, and more specifically regarding industrial tourism. 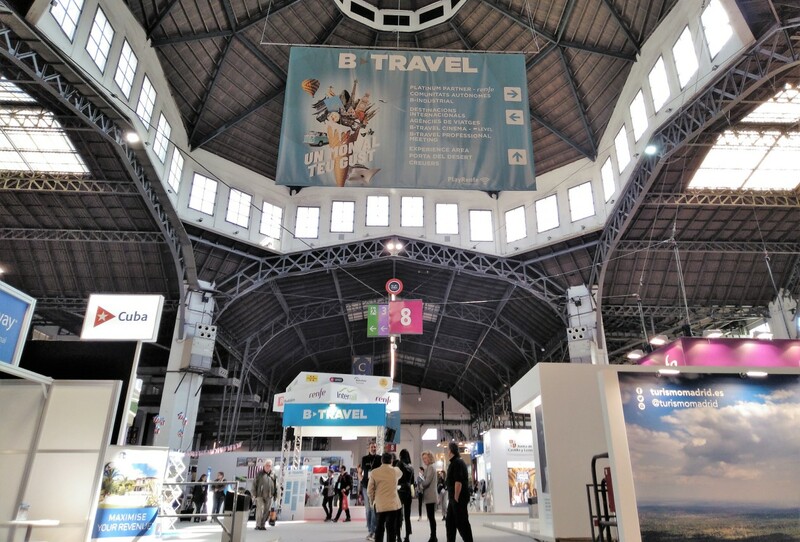 Hall of the Montjuic Exhibition Centre devoted to Tourism during the B-Travel Fair 2019 / Photo by AVPIOP. 2019/03/30 El turismo industrial de Euskadi ya tiene guía. El Gobierno la presenta en B-Travel 2019.